City Paper readers pick the people, businesses, and things that stand out in the Steel City. This is your City Paper. 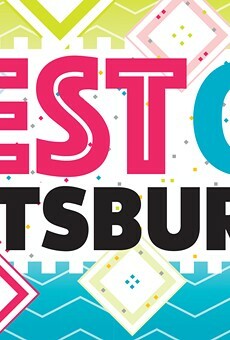 The annual Best Of Pittsburgh issue is not possible without you. We write the stories, snap the photos, sell the ads, design the pages, and print the paper. But you pick the people and places, goods and services, food and drink, and culture and nightlife that are nominated for Best Of categories — and then you vote to determine the winners. And yeah, we’ve heard you say it again and again after the Best Of Pittsburgh issue comes out: this [place/person/thing] always wins. Seemed that way to us, too. As you flip through this big book, you’ll come across stories on 14 “legacy” winners. This group — one person and 13 businesses — comprises the best of Best Of Pittsburgh. This legacy club is for winners in five or six consecutive years (and Rick Sebak, who is practically his own category). Turns out, not that many [place/person/thing] always wins. Still, there is one reigning, defending, undisputed winner when it comes to Best Of Pittsburgh: us. Everybody associated with CP benefits from Best Of Pittsburgh because it provides a direct connection with readers. From the online nomination process through the digital voting and up to the final edits, Best Of Pittsburgh gives CP employees verifiable information about the likes and loves of the people for whom we’re writing.